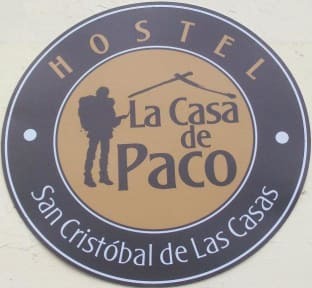 Great hostel, Paco is so nice and helpful! We only had a quick stop over stay here but the host was one of the nicest people we have met so far on our 6 month adventure! So happy to help! The hostel is in an awesome location and it was comfortable and clean. We really enjoyed our stay here, in fact we ended up extending our stay for longer than we expected. All of the members of staff were super friendly, helpful and made us feel very welcome. We stayed in a private room which was very spacious, and we appreciated having the spare blankets in the evening. The bathrooms are clean, and the showers are hot. The location is great. Thanks very much Paco. Owner super friendly, personable and helpful. Super clean as well. Sheets smelled mega fresh. Wasn’t really much atmosphere but overall was a great place. I was sick and felt really well looked after and the staff was on hand to help with any information or check in on me. Good location - about a 10 minute walk from the central plaza. The owner was very helpful and informative. There was some noise from passing traffic in the night but overall it was a comfortable stay in a friendly environment. Paco is very helpful, the value is great. Good kitchen if you like to cook. I cook most days so important for me. It's a bit of a walk to the city but the city is a great place to walk in and get lost in. Paco is an absolute GEM!! Super quiet when I stayed, but the kitchen is probably a bit cosy if it gets busy! Side note - San Cristobal is COLD!!! Es un hostel tranquilo, para nada del tipo fiestero, que queda a unos 8 minutos del zócalo y unos 15 de la terminal de ADO. paco y su staff son super amables y te ayudan en todo lo que necesites. El desayuno es pequeño.